It is a fine Sunday morning in Vizag.Weather is sunny and there is soothingly pleasant warmness in the sunlight. Such weather may be termed as luxury in northern plains of India during this month of the year but we southerners i.e. people earning their bread and dal or sambhar in Deccan plateau are a blessed lot. Cold and dry winds from Himalayas lose their intensity after travelling a distance of 2500 Kms. But we have or own demons to contend with in this coastal region. We live in the shadow of cyclonic storms that too with beautiful feminine names e.g. Aila,Lehar, Laila,…….but no Katrina for us.That beautiful name of cyclone or hurricane as they call it in America had been hijacked by U. S. of A long back. So, Sunday morning demands special food. I had Chhole Bhature drenched in pure home-made ghee. Next in the line for lunch today is spicy hot puri(again in pure home-made ghee ) along with large legs of a Desi chicken. There is a huge difference in captivity-bred chicken which is reared only for food and home-grown roaming and brave chickens. The tender taste of soft and sweet meat can only be judged by a connoisseur.But, I can assure you, this taste is heavenly. So, if you live in a village …go and catch a running chicken…it is fun and will harass you endlessly…..I suggest that you try to catch a flying/running chicken for few minutes …get exhausted and leave it..tell the owner to catch it for you…pay him handsome amount of money and then take your revenge on poor chicken..kill eat…roast it…enjoy the wild pleasure of hunting.It is the only legal hunting which has been allowed by modern day governments. Or else….go to Rajasthan..kill a black buck or deer and spend 7-10 years in jail and give bucketful of money to lawyers. But, if you are a celebrity….then it is OK.
You must have forgotten my story..so a little flashback is required. I undertook a journey from Vizag to Patna during March, 2013.My first stop was in Berhampur, Odisha and 2nd stop was in Keonjhar…that also in Odisha as I have a soft corner for this eastern state having spent nearly 04 years of my youth in jungles of this region. My last blog saw the sunlight on 28th September, 2013 and I had promised to write on weekends but laziness in the air forced me not to write anything during last 2 months. But, I am planning to end this journey today itself. I will write something new during 2014. So, on the morning of 23rd March around 0500 hrs, I drank a large cup of tea…stored some in Flask…got my Parathas ,curd,pickles and a hot glass of milk on the back seat of Dzire. Before proceeding, sprayed some water on the shiny metallic surface of Dzire and revved up the engine.Cars are like horses, they both love spraying of water on their robust bodies. It is a cool way to recharge the body. My next destination was Patna which was nearly 700 Kms. in northern direction. It looked like a straight line on the map in my Oxford Atlas. I knew, Geography s not the real way to measure distances in India. I had to cross nearly 25 rivers/streams and several mountains/hillocks to reach my destination. I divided the journey in 02 phases…Keonjhar to Ranchi & Ranchi to Patna..a distance of nearly 375 Kms & 325 Kms.respectively divided by lunch and some sleep in Ranchi. I took a little longer route to Ranchi via NH 6 and 33. 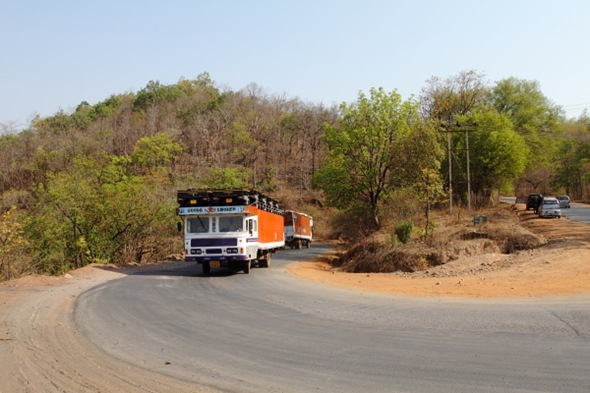 This road passes through hilly terrain and dense forest and is home to several Naxalite groups. But as I started by 0500 hrs. in the morning, I was hopeful that bad elements will be sleeping at that time and I won’t face any security threat. Though, I was a little bit apprehensive but I had immense faith in the lightning speed of of my Car and my tough-terrain driving skills. But, the threat of landmine and explosive was looming at the back of my mind. Blocking of road by cutting trees or putting up heavy boulders was a substantial threat in this area. My only handicap was that my Car was not equipped with wings so in case I needed to jump and fly…I would be stuck in this godforsaken place. You won’t believe the natural beauty of Keonjhar, East & West Singbhum, Saraikela Kharsawan, Khunti and Ranchi districts until you put your legs on this tribal land.Roads are so good and shining in this part, you can eat butter on the outer black skin of the road. But, the tribals live in sub-saharan African condition.Poverty is written on the face of these people. All noise about so-called hype of Banglores and development of mega cities in India is literally rubbish when you see the pathetic living conditions in villages in this area. I crossed Similpal Tiger Reserve on the way…ate my breakfast here…tried to find some tigers but they didn’t responded. A chaiwalla told me, there are nearly 99 tigers in this Park…I took a short rest and literally fled away…what if tigers smell my Parathas and I know they possess better sniffing skills than my pet dog Kalu. I stopped at various scenic locations …captured hills/streams/mountains…..put my face and car on top of sturdy rocks…..crossed the Steel City of Jamshedpur and reached Ranchi by 1300 hrs. Here rice and chicken curry was waiting………ate to my heart’s content…my back was feeling stiff…..slept on the hard floor ..did some stretching exercise and for next 02 hrs. were spent in a dreamland. I saw flying angels. My Car developed bird-like wings and cruising through clouds at 280 Kms./hrs. Dreams are so good. My first thought on waking up was to abandon the next leg of my journey. But, promises and commitments need to be honoured. So, going back on it was not an option. Started by 1500 hrs from Ranchi…the route was through Hazaribagh and Nawada/Biharshareef. It got dark by 1800 hrs. and I felt the need of using goggles to avoid glares from incoming vehicles. I encountered a driving hazard on this leg of my journey. Though, I had travelled nearly 1400 Kms. by this time during last 02 days but I either drove on 04/06 lane highways or 2-lane highways with very less traffic. But, Ranchi to Patna is one of the busiest route between 02 mid-level emerging cities. Traffic and rush of light vehicles was OK but the heavy-duty 16-20 wheelers were a nuisance. Their headlight shone like bright stars as if seen from few Kms. distance and overpowered the mild and gentle head lamp of my humble car. To say honestly, I literally became blind whenever these monsters hurtled towards me from opposite direction at 100 Kms./hr.So,every few minutes, I slowed down and tried hard not to ram my vehicle in roadside trees or worse fell off in roadside trenches. One acute problem is that these truck drivers are always drunk while at the steering and never respond to any valid traffic signal. I crossed Kodarma valley and again thought of Naxalites came to haunt me. Here, I was always driving between 02 heavy trucks and there was real fear that brake of my front vehicle will fail and loded truck weighing several tonnes may crush my small car. Driving on Ghat roads is a tricky business.It needs some patience and lads of luck. I drove in such trying circumstances and reached Patna by 0230 hrs.I took wrong turns several times as all local villagers were sleeping and no one was on the road to guide me through the cover of darkness. Imagine the situation, you reach a 04-way traffic junction with no signboards and my google maps was dead.I chose roads based upon my inner voice……..if road was good and shiny and there were no rubbish strewn/no latrines on roadside, I chose it. Sometimes, I followed stray dogs…went in the direction of running dogs. If dogs were running on a straight road, they must be going to Patna so I followed them. 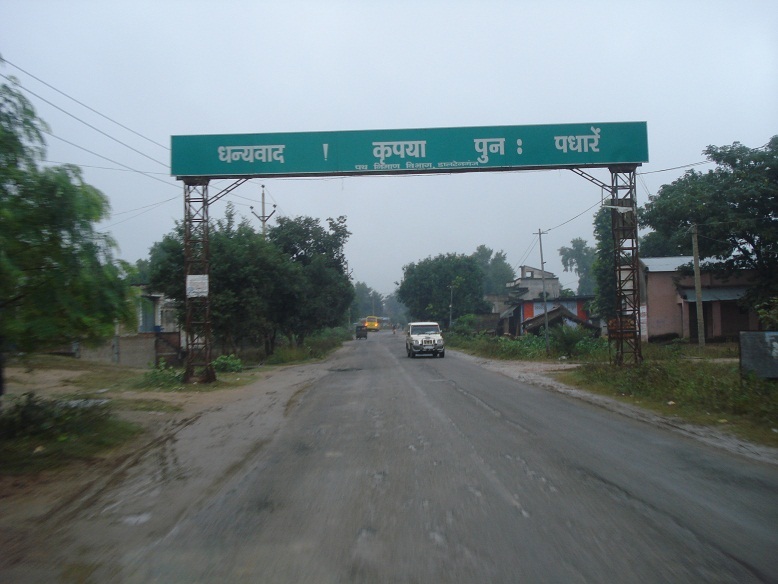 By, the time I reached Patna…I was mentally tired…this 325 Kms. journey was more tiring than earlier 1400Kms. combined. So, my advice to fellow travellers is that do not travel in night time if you do not know the route thouroughly. Because, all routes look same in darkness and carry compass because losing your North is a real nightmare in unknown territory. For nearly 10 hrs. I drove in darkness without realizing the direction of the road beneath the tyres of my Dzire. Avoid it. So, this was it for today. I thank you for being with me for this 06-part series. I formally close my journey from Godavari to Kosi here in this paragraph. I crossed nearly 50 rivers/stream in between these 02 mighty rivers.They enriched me…..made me a better and improved version of myself. I convey my deep gratitude and love for beloved Kosi and Godavari. Hopefully, I will swim in these rivers some day.